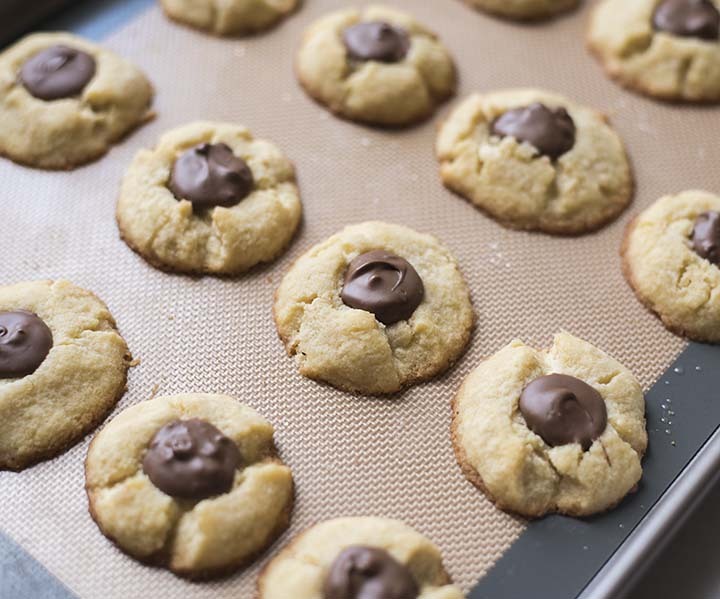 What’s better than biting into a warm, sweet cookie? Biting into a warm, sweet cookie with a smooth and rich chocolate toffee center! 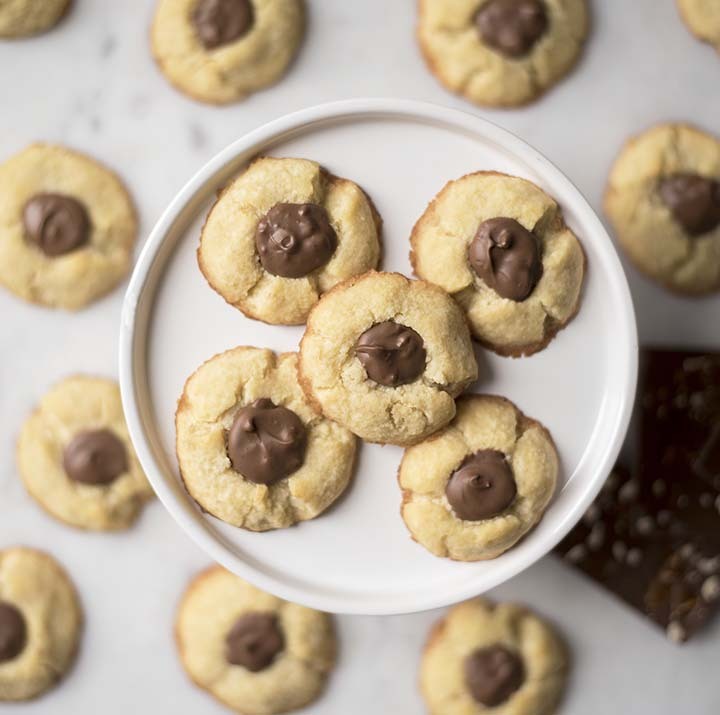 Put your handy thumb to good use by forming these gluten-free, low sugar cookies and eating all of them. 2. Using a handheld mixer, beat together coconut oil and ½ cup xylitol until light and fluffy. 3. Beat in egg yolks and extract on medium speed until mixed well. 4. Add in flour, protein powder, baking powder and salt. Mix on low speed until smooth. 5. Using you hands, roll about 1 tablespoon of cookie dough into a ball. Repeat this until 16 balls are made. 6. 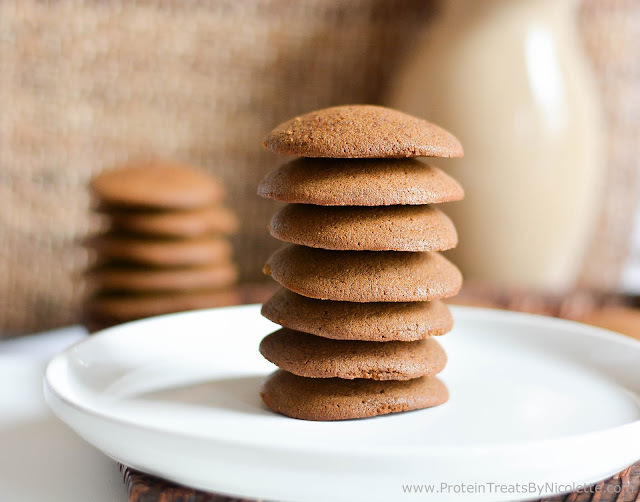 Pour ¼ cup xylitol in a bowl and roll each cookie ball in the xylitol. 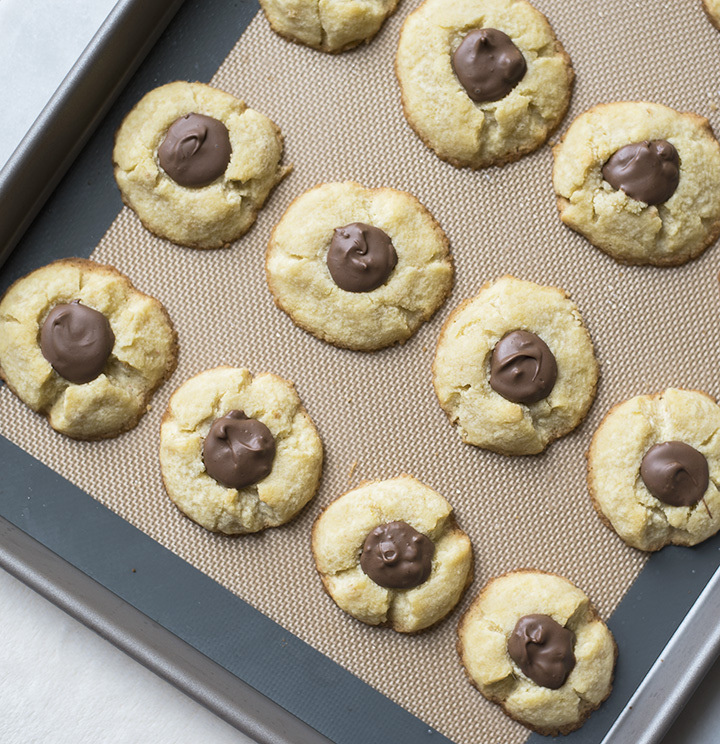 Place each coated cookie ball on the sheet pan. 7. 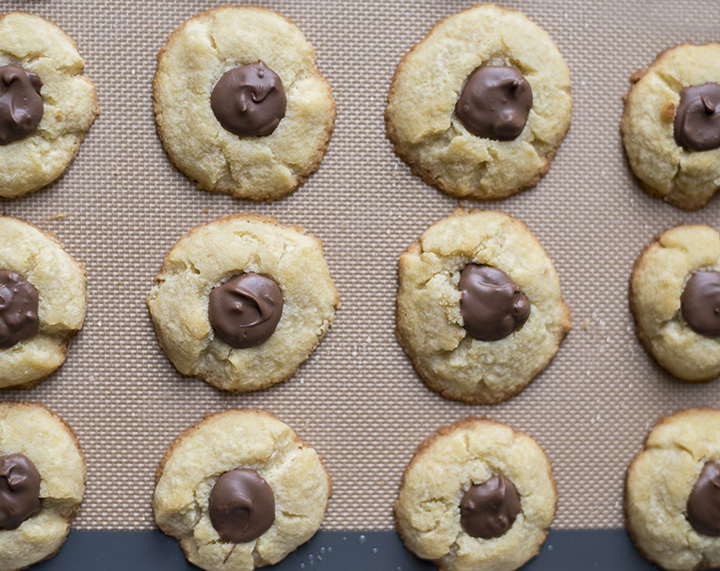 Using your thumb, gently press down in the center of each cookie, forming an indentation. 8. Bake in the oven for 10-12 minutes, or until slightly golden brown around the edges. If the centers of the cookies puff up, gently press down again while the cookies are warm. 9. While the cookies cool, melt the chocolate bar until smooth. 10. 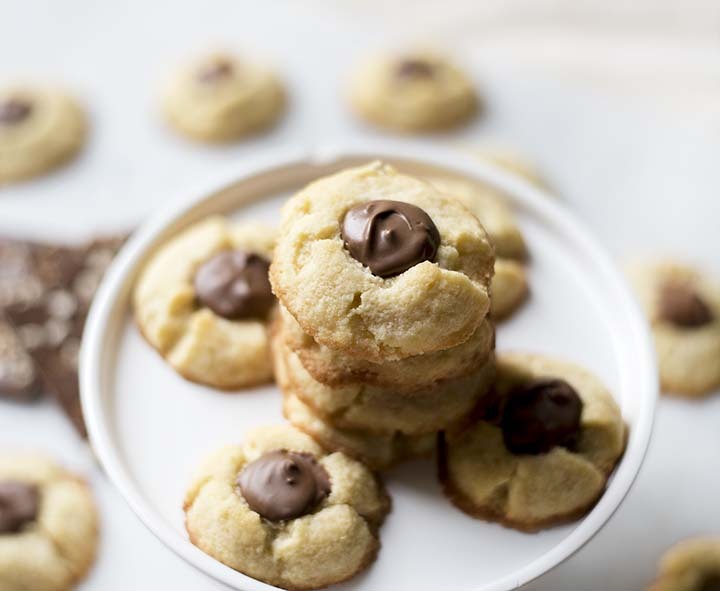 Drop about 1 teaspoon of melted chocolate into the center of each cookie. Let chocolate harden then enjoy!